Dallas - The law firm of Cooper & Scully, P.C. congratulates its nine Shareholders selected for inclusion in Texas Super Lawyers® 2017 by Thomson Reuters. The list will be published in the September 2017 issue of Texas Monthly magazine. 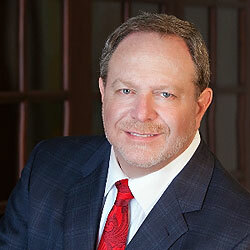 Super Lawyers® selects attorneys using a rigorous, multi-phase process. Peer nominations and evaluations are combined with third-party research. Each candidate is evaluated on 12 indicators of peer recognition and professional achievements. Selections are made on an annual, state-by-state basis. The objective is to create a credible, comprehensive, and diverse listing of outstanding attorneys that can be used as a resource for attorneys and consumers searching for legal counsel. Super Lawyers® can be found online at www.superlawyers.com.